Gin is usually sold at between 35 and 43% alc./vol., with the lower end of this spectrum mainly affected by the prevailing laws in particular markets. Many gin brands also have a higher strength bottling aimed at the duty free market and these are typically the high forties to 50% alc./vol.. Originally a style of gin but now a legal category of gin defined by its production process. Despite the name, London Dry gin can be produced anywhere in the world and sadly the term now gives little indication to a gin's flavour, other than its being dry due to the addition of sugar or sweeteners not being permitted. London Dry emerged as a dry refined style of gin, originally only made in London, soon after the 'Coffey' continuous still was invented in 1831, enabling production of a highly rectified (nearly pure) spirit. The high distillation strength removed the unpleasant flavours found in earlier gins so the new spirits could be sold unsweetened or "dry". Being traditionalists, on this website, when referring to flavour styles of distilled gins we consider juniper-forward gins with classic botanicals such as coriander seeds, angelica root, citrus peel and orris root to be London Dry in style. 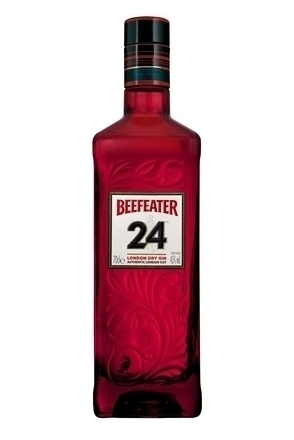 Classic examples of this style that still survive are Tanqueray and Beefeater, although only one is now distilled in London and both are bottled in Scotland. 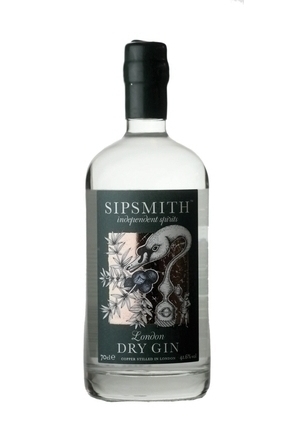 Sipsmith's Gin and Portobello Road Gin are good examples modern London Dry-style gins still made in London. 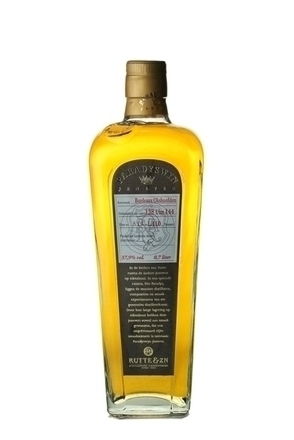 Rutte Dry Gin is one of the numerous examples of London Dry-style gins now made in other cities and countries. All the aforementioned gins are also categorised as being London Dry due to their production process. The original Dutch juniper spirit which led to the creation of the drink we know today as gin. Genever is also known as geneva, jenever and hollands. Since it retains more of the flavour of the rye, barley and maize on which it is based than gin does, it should be treated as a category in its own right rather than a type of gin. There are numerous sub-categories of genever. This sweet or 'cordial' style of gin was overwhelmingly popular in the 18th and 19th centuries when gin was more pungent due to the limited rectification of the base spirit possible in the copper pot stills at that time. The rough tasting fermentation congeners no doubt present in the gin were masked by flavouring (most commonly with lemon or aniseed) and/or sweetening by the addition of sweet botanicals such as liquorice and later, in the 19th century, with sugar. This sweetened style of gin became known as 'old tom'. Old Tom probably started as a general term but it became associated with a particular style of gin. One story has it that a cat fell into a vat of gin at an unnamed distillery, giving the gin a distinctive flavour. However, the creation of this style of gin more likely lies with Thomas Chamberlain, an early gin compounder. In the second half of the 19th century unsweetened or 'dry' gin grew in popularity, partly led by the then growing fashion for dry champagne. By this time the quality of the base spirit had improved thanks to the invention of the Coffey still and these dry gins were close in style to what we know as 'London dry gins' today. 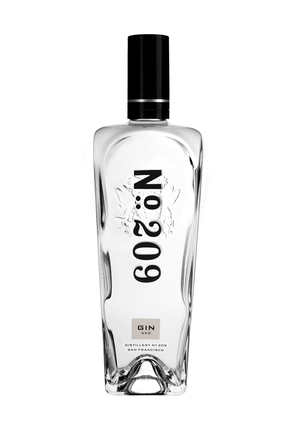 During the 20th century this sweet style of gin which typically contained between two and six per cent sugar practically died out with what little continued to be made in England mainly exported to Finland, Japan and parts of the USA. In 2007, several producers started to once again market Old Tom in Britain and export markets such as the USA. 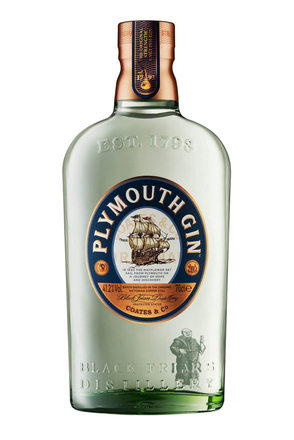 Back in 2008, Plymouth gin was awarded Protected Geographical Status (PGI) under European Union law. This stipulated that only gins produced in the southwest English city of Plymouth with a minimum alc./vol. 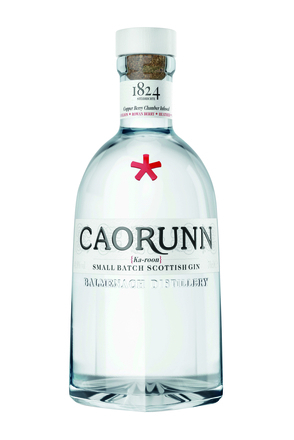 of 37.5% and with a predominantly juniper flavour could be described as being Plymouth gins. This was an example of bizarre European legislation as Plymouth Gin was, and remains, a registered trademark (presently owned by Pernod Ricard) so preventing any other gins made in the city of Plymouth under the PGI being able to describe themselves as Plymouth gins. However, in November 2014 a statement from Pernod Ricard announced, "We have decided to withdraw our support of the Protected Geographic Indication for Plymouth Gin." This was in advance of the EU requiring all producers holding PGI status to specify what geographical and organoleptic characteristics of their product justified PGI status by February 2015. Gin made in Mahón, the capital city of the island Menorca, is also thought to have Protected Geographical Status (PGI) and is listed as such in regulation No. 110/2008 of The European Parliament dated 15 January 2008. Confusingly, it is cheese from the city, Mahón-Menorca, which the EU has awarded Protected Geographical Status. The only brand of gin we know of presently being produced in Mahón is Xoriguer. Vilnius Gin (Vilniaus Džinas in Lithuanian), made in the city of Vilnius, Lithuania at the Vilnius Degtiné distillery is another example of a gin listed as having Protected Geographical Status in regulation No. 110/2008 of The European Parliament. However, like Plymouth Gin, Vilnius Gin is also a registered brand name so it is difficult to see how this can be considered for EU PGI status. This is a loose term championed by the American bartending consultant Ryan Magarian for gins which some say border on being legally being gins at all due to their relatively low levels of juniper. To quote Ryan, "This designation seems to have evolved over the past nine years, as a result of efforts from both large brand houses and regional distillers in Europe and in the United States. 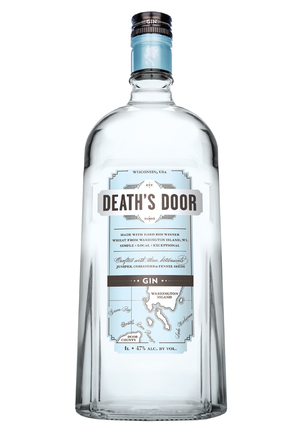 In taking a good hard look at today's rather loose definition of dry gin, these distillers realized a greater opportunity for artistic 'flavor' freedom in this great spirit and are creating gins with a shift away from the usually overabundant focus on juniper, to the supporting botanicals, allowing them to almost share center stage. And while the juniper must remain dominant in all dry gins these gins are most certainly defined, not by the juniper itself, but by the careful inclusion and balance of the supporting flavours, creating, what many experts believe to be, an entirely new designation of dry gin that deserves individual recognition." Cold compounded gins are flavoured with extract of jumpier as an oil and other flavour essences without distillation. The flavourings are 'compounded' - simply mixed with the neutral spirit. EU and other regulations recognise that cold compounded gins are inferior to distilled gins. In a reference to the illicit gins made during Prohibition, cold compounded gins are often termed bathtub gins. To avoid such gins, only buy gins which state they are distilled on the label. Gin is defined in the European Union Spirit Drinks Regulations (Council Regulation EC No. introduced 1989 and updated 2007), the United States Bureau of Alcohol, Tobacco and Firearms (BATF) (introduced 1991) and by similar regulations in other countries including Canada (introduced 1993) and Australia (introduced 1987). 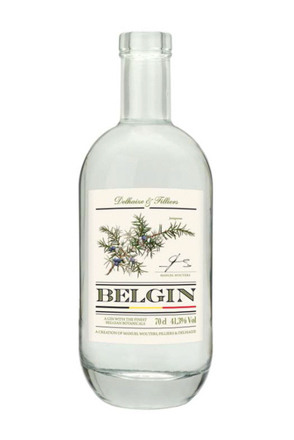 In the EU genever falls under more general regulations governing flavoured spirits. The European Union regulations governing gin are the most wide-ranging. 1. 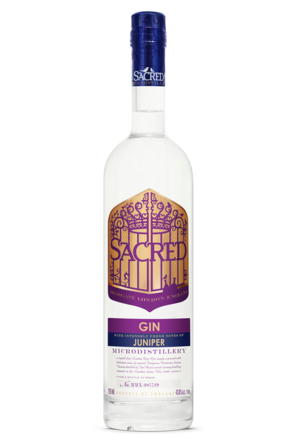 Made with suitable ethyl alcohol flavoured with juniper berries (juniperus communis) and other flavourings. 2. The ethyl alcohol used must be distilled to the minimum standards stated in the EU Spirit Drink Regulations. 3. The predominant flavour must be juniper. 4. Water may be added to reduce the strength but the gin must have a minimum retail strength of 37.5% alc./vol..
5. Further ethyl alcohol of the same composition used in the distillation may be added after any distillation. The rules further legislate upon three distinct definitions of gin: 'Gin', 'Distilled Gin' and 'London Gin'. 1. The ethyl alcohol does not have to be re-distilled. 2. Flavourings can be either approved natural or artificial flavourings and these can be simply cold compounded (mixed together with the ethyl alcohol). 3. There is no restriction on the addition of other approved colouring or flavouring additives such as sweeteners. 1. 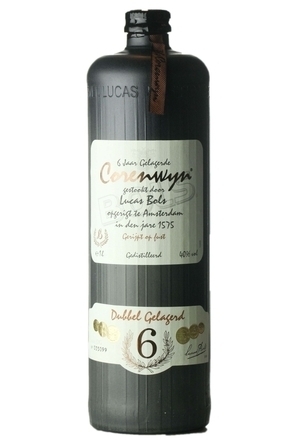 Must be made in a traditional still by redistilling neutral alcohol in the presence of natural flavourings but there is no minimum strength stipulated for the resulting distillate. 2. Additional flavourings, sweeteners and other approved additives may be added after distillation and these can be natural or artificial. 3. Approved colourings may be used to colour distilled gin. 1. Must be made in a traditional still by re-distilling ethyl alcohol in the presence of all natural flavourings used. 2. The ethyl alcohol used to distil London Gin must be of a higher quality than the standard laid down for ethyl alcohol. The methanol level in the ethyl alcohol must not exceed a maximum of 5 grams per hectolitre of 100% vol. alcohol. 3. The flavourings used must all be approved natural flavourings and they must impart their flavour during the distillation process. 4. The use of artificial flavourings is not permitted. 5. The resultant distillate must have a minimum strength of 70% alc./vol..
6. No flavourings can be added after distillation. 7. A small amount of sweetening may be added after distillation, but apart from water, no other substance may be added. A 3rd February 2014 amendment to the original rules (which stipulated that sugars must not exceed 0.5 grams/litre of finished product) "provides for the possibility to use the term 'dry' for the category of spirit drink 'London gin'. That spirit drink is not allowed to contain added sweetening exceeding 0,1 gram of sugars per litre. For the categories of spirit drinks 'gin' and 'distilled gin' there is no established limit for the addition of sweetening. However, when 'gin' and 'distilled gin' are produced without sugar or with a sugar content not exceeding 0,1 gram per litre, the possibility to use the term 'dry' should be extended to those spirit drinks as defined in that Annex." So there you have it, according to the EU a dry gin can have added sugar and this addition does not need to be declared in the label. 8. London Gin cannot be coloured. "Gin" is a product obtained by original distillation from mash, or by redistillation of distilled spirits, or by mixing neutral spirits, with or over juniper berries and other aromatics, or with or over extracts derived from infusions, percolations, or maceration of such materials, and includes mixtures of gin and neutral spirits. It shall derive its main characteristic flavor from juniper berries and be bottled at not less than 80° proof. Gin produced exclusively by original distillation or by redistillation may be further designated as "distilled". "Dry gin" (London dry gin), "Geneva gin" (Hollands gin), and "Old Tom gin" (Tom gin) are types of gin known under such designations.